Nice swimming pool (open-air, also in winter). Close to Telepherique Olympique and Solaise lifts (approx. 400 m). Quiet location (third & forth row houses behind main road through village). Very friendly staff. 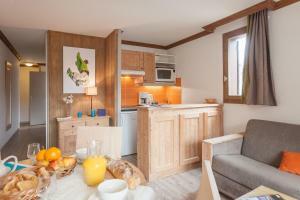 Given the high cost of accommodation in Val d’Isere relatively good value for money. Brilliant location, I paid an extra 65 euros for a room with a view which was also lovely. Could watch the skiers come down the mountains every morning and a lovely balcony too. Room very adequate for myself and my partner, plenty facilities in kitchen, lovely bathroom with nice hot water. Bed was okay. Staff seemed friendly and helpful. Organised our ski passes which was great. Ski lockers also adequate. Loved being able to walk to everywhere we needed, shops, fast food just up the street and loads of brilliant local restaurants and bars all around. Overall, we were pleased with out stay, room was nice, well equipped and cosy. Nice to come home to after a day of skiing or some drinks in the evening! Great location and view of the mountains and slopes. Staff friendly and replies to emails quickly. Room spacious enough and fully equipped kitchen is good. Parking supplied is good. Busstop is close and free bus shuttles go to the slopes and various other points in town. Not much. Shabby decor. Toilet smell but repaired quickly. This was the second time we’ve been to this apartment. It’s as close to the town centre as you can get! Not far to the slopes either with a bus stop just up the road that takes you right by the Olympic. 🙂 Again friendly staff and very clean and tidy! The hotel is better than average for what you pay in Val d'lsere, we liked very much we were able to use one of the free parking spaces onsite! (luck), The hotel staff are very charming and helpful. The ski bus was about 100m from the front door and runs about every 15 mins (all day). Oh and the abundance of hot water was fabulous! 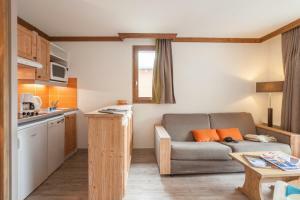 Excellent location and cost benefit to stay at Val d’Isere, next to slopes, shops and centre village. Excellent location, good facilities for self catering, Swimming pool, pool table and sauna were very enjoyable. The rooms were a good size and pull out bed was comfy. Location was good and staff were very helpful. Would definitely stay there again. Lock in a great price for Résidence Pierre & Vacances Les Chalets de Solaise – rated 8.3 by recent guests! One of our best sellers in Val-d'Isère! Located in the Val d’Isère Tignes ski resort, Résidence Pierre & Vacances Les Chalets de Solaise offers spacious apartments with balconies. The apartments at Résidence Pierre & Vacances Les Chalets de Solaise each have a fully-equipped kitchen, which include a dishwasher, microwave and a fridge. The living rooms are equipped with flat-screen TVs. Additional facilities include a sauna and a fitness center. Résidence Pierre & Vacances Les Chalets de Solaise is located in the Vanoise National Park, near the Italian border. It is 19 mi from Borg-Saint-Maurice. 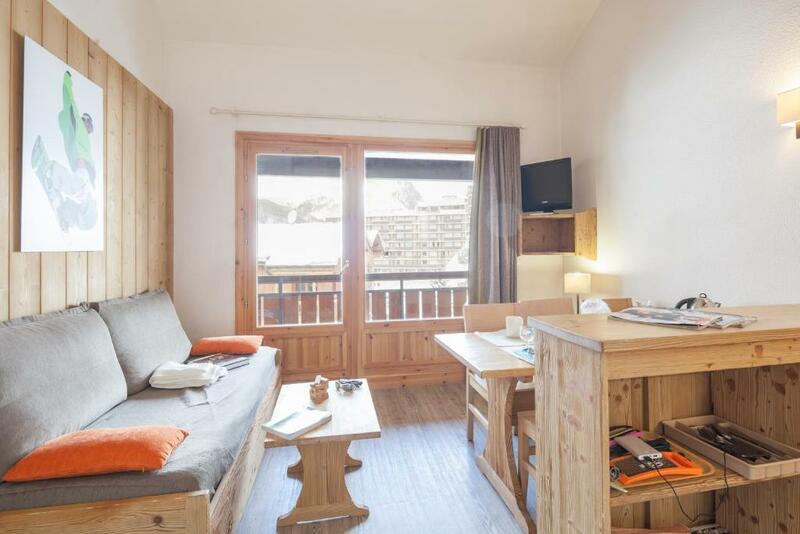 뀐 Located in the top-rated area in Val-d'Isère, this property has an excellent location score of 9.0! When would you like to stay at Résidence Pierre & Vacances Les Chalets de Solaise? This studio features a living area with one double sofa bed or fold-down double and one single sofa bed. It has one independent bathroom with a bath or a shower. The fully equipped kitchenette opens on the living area. This studio features a living area with one single sofa bed, one pull-out bed (recommended for children) and a sleeping alcove with 2 bunk beds. There is a mezzanine with one double bed and one convertible bed. It has one independent bathroom with a bath or a shower. The fully equipped kitchenette opens on the living area. House Rules Résidence Pierre & Vacances Les Chalets de Solaise takes special requests – add in the next step! Other Résidence Pierre &amp; Vacances Les Chalets de Solaise accepts these cards and reserves the right to temporarily hold an amount prior to arrival. Résidence Pierre & Vacances Les Chalets de Solaise accepts these cards and reserves the right to temporarily hold an amount prior to arrival. Rates include accommodations, bed linen, bath linen (1 big towel + 1 small towel), cleaning linen (kitchen towel + bath mat), cleaning kit, final cleaning (except for kitchen area and dishes), TV, all taxes and fees (except for the tourist tax) and basic WiFi for up to 5 devices. A baby kit, suitable for children under 2 years weighing less than 15 kg, is available at the property at an additional cost. The kit includes: 1 cot, 1 high chair, 1 stroller, 1 changing mat. Subject to availability. Outdated 2 star property. Small rooms. The most outdated dirty sky room I have ever seen. They didn’t even care to put the batteries into remote controls for TV.. However, the property can charge any money for the holiday season given its location. Pull out bed - was not aware of this when booking. Not the comfiest, but still did the job, we are young so just got on with it! Did not like having to either pay to get beds made or make them yourself, feel as though this should be included in price you pay for apartment. Myself and my partner had to make the bed ourselves after checking in around 2AM after 8 hours of travel, which was not ideal! But again, we just got over it and made them ourselves! You have to cover your own bedding, and after long travels to get there you really do not have the energy to put a duvet in a cover. Unclear instructions on what to do when checking out regarding the bedding and kitchen. Missed the swimming pool this year due to maintenance, so hopefully this gets sorted for next year so we can that relaxation and unwind from a day on the slopes. Have to say the mattress on the pull down bed was quite hard but still managed to sleep ok. Cleaning of room and facilities could be improved. No fan oven but good hob and microwave helped. The rooms were a good size and pull out bed was comfy. Shower was very good and powerful. Location was good and staff were very helpful. Would definitely stay there again. Nice swimming pool. 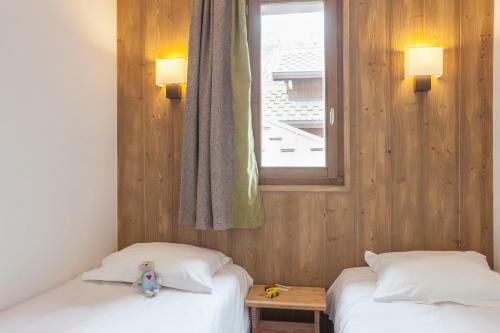 Decent value for money in Val d'Isere (explained by the long walk to the slopes).